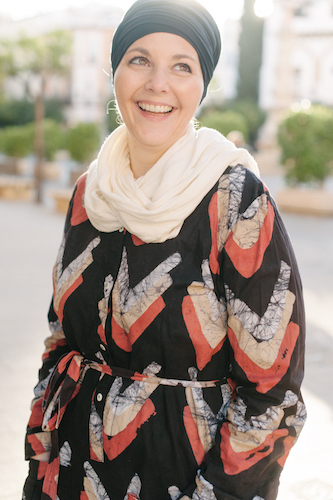 When you’re wondering what to wear in Morocco you need to consider all of the activities that you will be doing. Overall many clothes can be used for different situations so you don’t need to bring a long a lot. 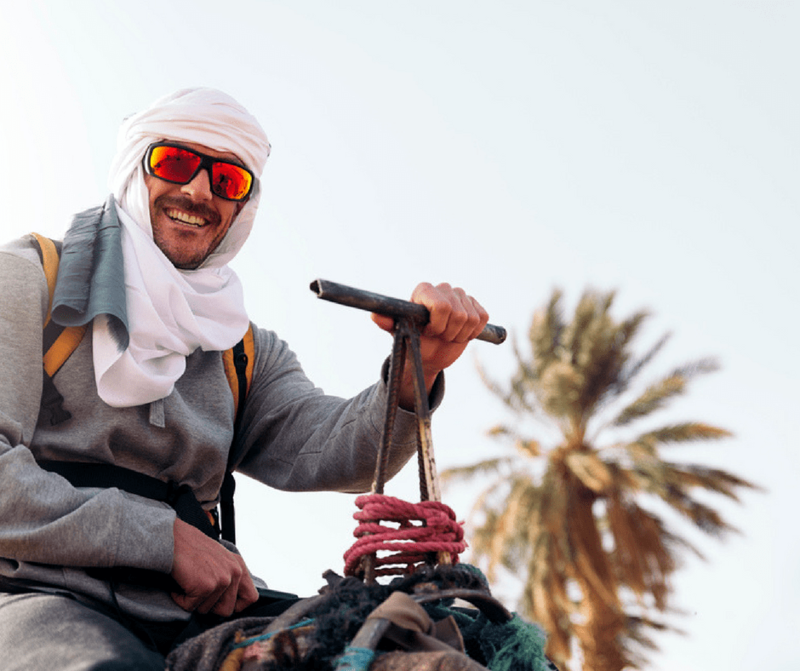 If you’re hoping to take a Morocco desert tour however you might want to bring a few extra items with to make your experience more comfortable. what are the sleeping arrangements; will you have a bed with covers or do you need to bring your own. Also will you have a bed or will you be sleeping on the ground. Is there heat in the tents? what are the bathroom facilities; this is important for you to know what clothes will make bathroom-ing easiest and if you need to bring toiletries. what food(s) and drinks are provided or will you need to bring your own both en route and at the camp. These suggestions are good for anytime of year and any camp situation. I highly recommend you bring only a small bag with you on this trip. DO NOT bring a giant suitcase with you. It’s not practical and will likely remain in the van for the trip. The guides are not going to mount your 50lb roller bag on the back of a camel. A backpack or duffle bag is enough – just bring the essentials. Sahara desert clothing just needs to be functional! Underwear that are briefs not a thong. If you are riding a camel, you DO NOT want to wear a thong. 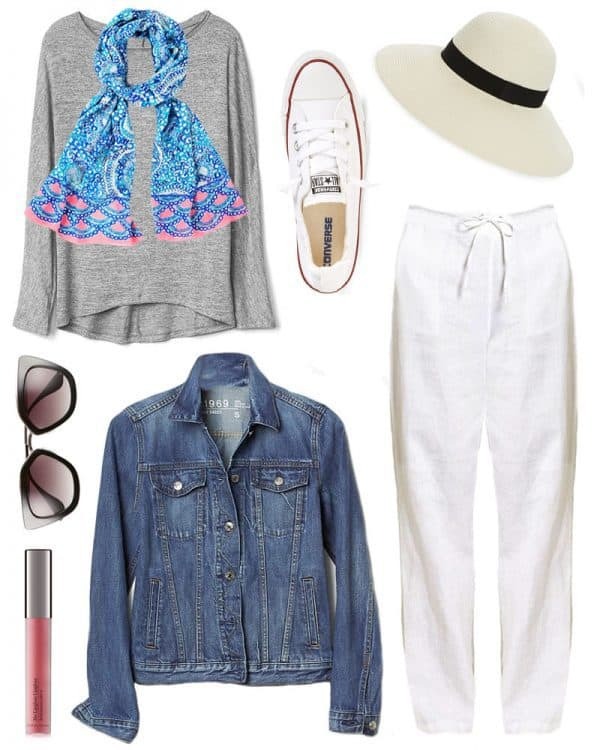 A long scarf that you can wrap around your face to protect from sun/sand. 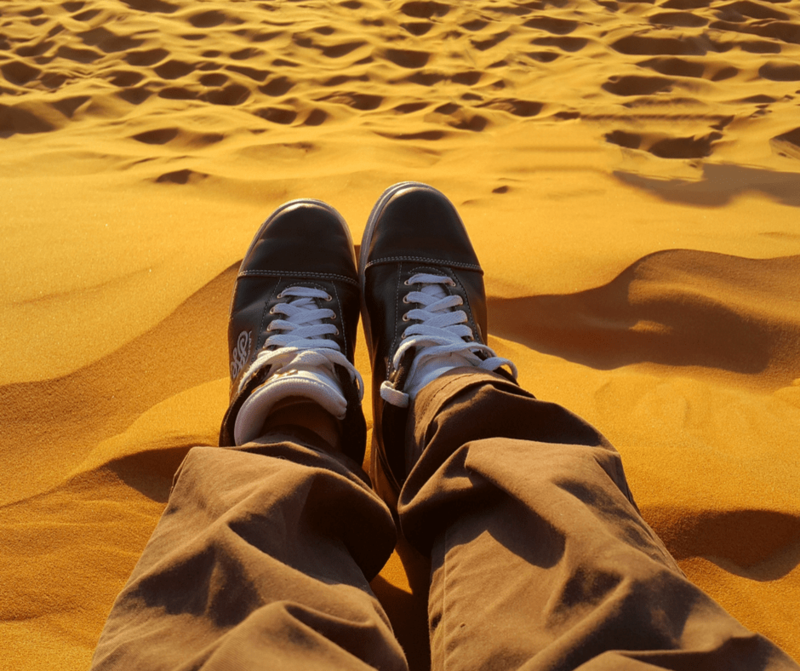 Tennis shoes or hiking boots, not a good idea to wear sandals on the camels. Ibuprofen or paracetamol. If you’ve never ridden a camel you will discover your body may hurt the next day. If you’re planning to visit the desert in winter months you’ll need to be a little more prepared than if you go other time of year. 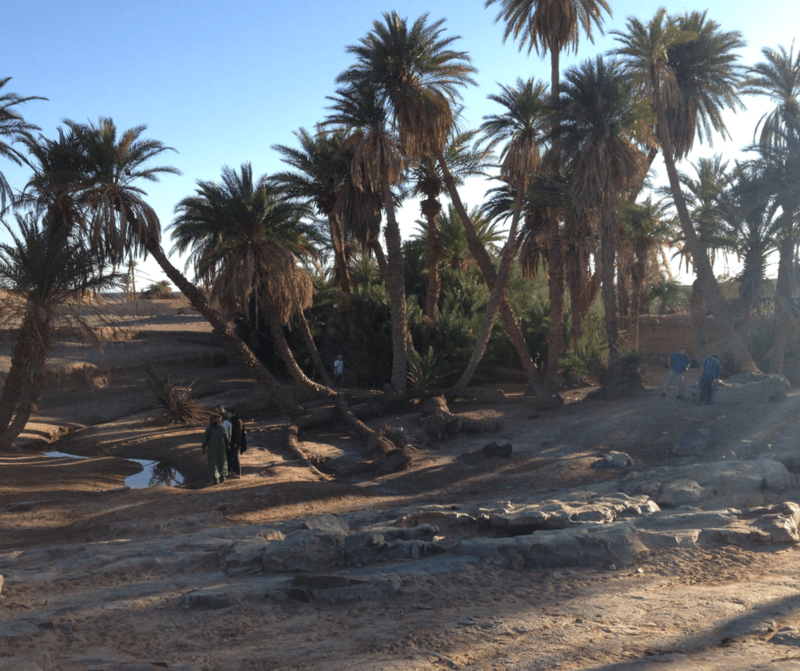 While daytime Sahara desert temperatures are comfortable due to the direct sunlight, as soon as the sun goes down temperatures can plummet. Yes, there even rarely is snow in the Sahara! Many people are not prepared for this. As an example the average January temperature is around 20C+ (68F) during the day and just 3C (37F) at night. Quite the temperature spread! This doesn’t mean you shouldn’t go, in fact visiting in the winter can be better as there are rarely sandstorms and you don’t have to worry about extremely hot temperatures. a shawl or wrap to cover with and double as a lap blanket if needed. An extra waterproof/sand proof bag if you have camera equipment. Summer is the most difficult time of year to visit the Sahara. 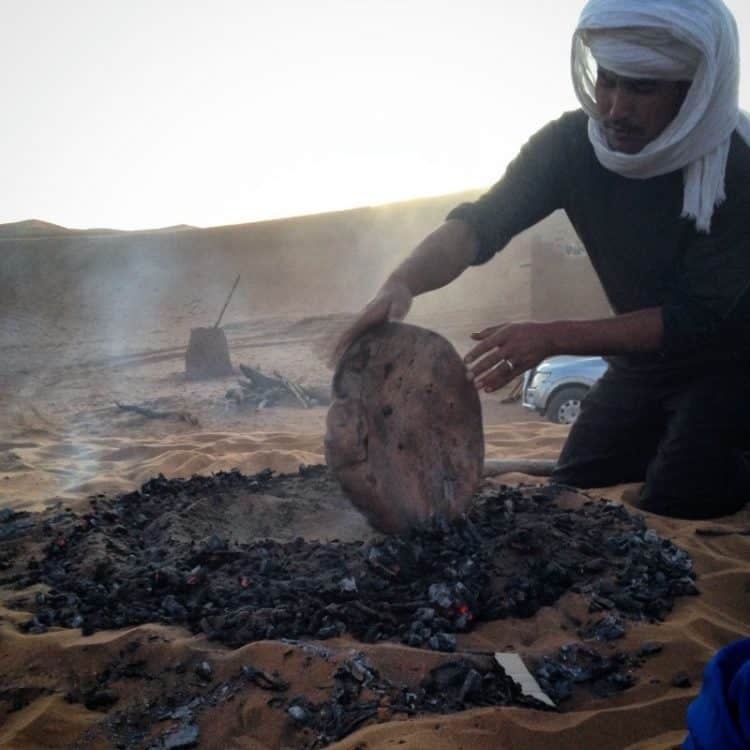 Many camps actually close down for a month or two due to the extreme temperatures and risk involved with bringing people to the desert during these months. 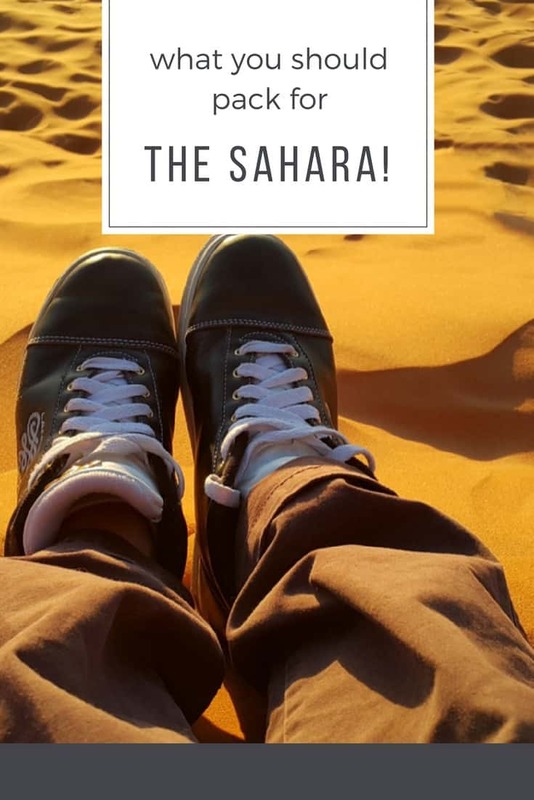 If you’re planning to visit Morocco in summer and consider a Sahara visit a must, look into this ahead of time so you can plan around it if needed. 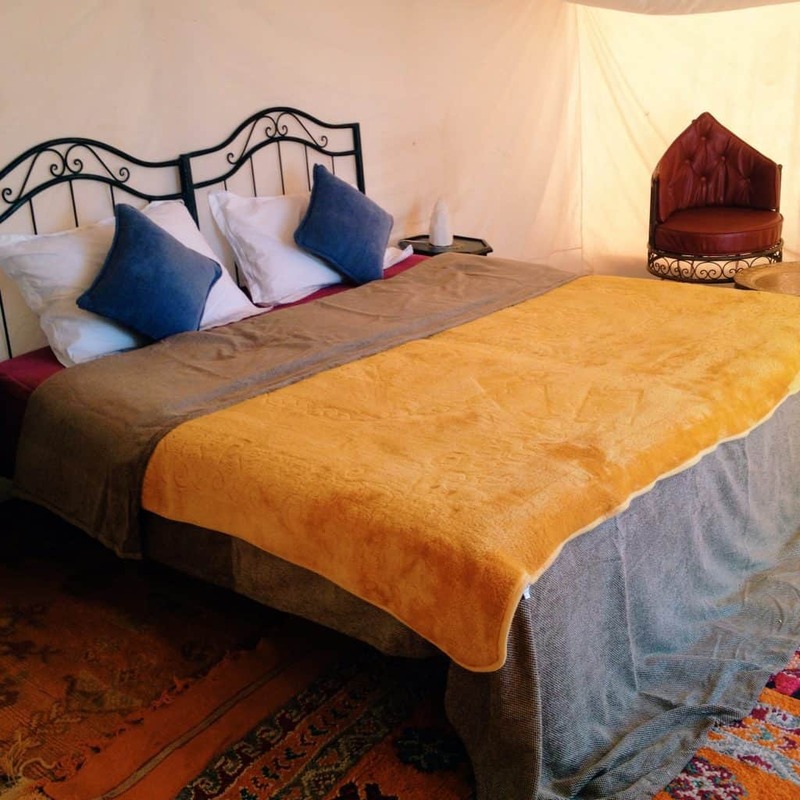 If you really can’t swing it, you could visit an Agafay desert camp just outside Marrakech where it will still be hot but camps remain open. these fever reducing strips that can be used to just cool off! a sleeping bag or blankets. If the idea of shared blankets that haven’t been washed in who knows how long puts you off, I’d bring my own sleeping bag. If you aren’t traveling with one, buy a blanket OR choose a different camp. plenty of bottled water and snacks. You can probably buy this on the road as well but make sure you have it before getting into the camp. if you have any food allergies or simply eat a different diet you should come prepared with the things you will need.